Today’s venue was the Metropole Hotel in the centre of Leeds and there was a good attendance, encouraged by a strong agenda. 12.1.0.2 RDBMS is due out Jul-Dec 2014 and is likely to contain new functionality that did not get into the first 12c release – I think in-memory will be one such feature. A straw poll of members saw very little uptake of 12c in production and some but not much take-up in non-production. Next up was Phil Brown of E-DBA who ran an open forum where the audience picked from a selection of topics. Another busy day at the Manchester Central complex. An early start with Martin Nash talking about RAC connectivity issues and bugettes. Very interesting but I don’t think my brain was fully in gear at 08:30 after a big hotel breakfast. Straight into another two-man CERN presentation on Lost Writes. The first half was about a scenario they had seen where an index has lost some data and frankly there was no explanation for what caused it to happen. However the second part was around how you might deal with the scenario and that was very good and gave a lot of food for thought. Jonathan Lewis then spoke for an hour about histograms and how they had developed in 12c. There were some really good points made but I suspect he lost some of the audience about half way through – including myself – I did notice a man in front of me who was doing a Sudoku throughout the presentation. I did my AWR talk and felt it went OK but because there was no time to talk to anyone afterwards and as I did not get much audience feedback it was quite hard to judge how well it went. The first time I did it was at a SIG and I think the low-key, less time-pressured environment suited the talk much more than the conference. That was the end of the conference for me. I caught up with a couple of people and then made my way home. All in all it was a very well run conference and the Manchester venue was better than Birmingham in my opinion. I really cannot see the exhibition carrying on though. I did not look at one stand and I suspect there were many others who did not either. I cannot see what the exhibitors got out of it. I must mention the entertainment on Tuesday evening which was a drinks reception sponsored by Enkitec and Delphix at the National Football Museum. 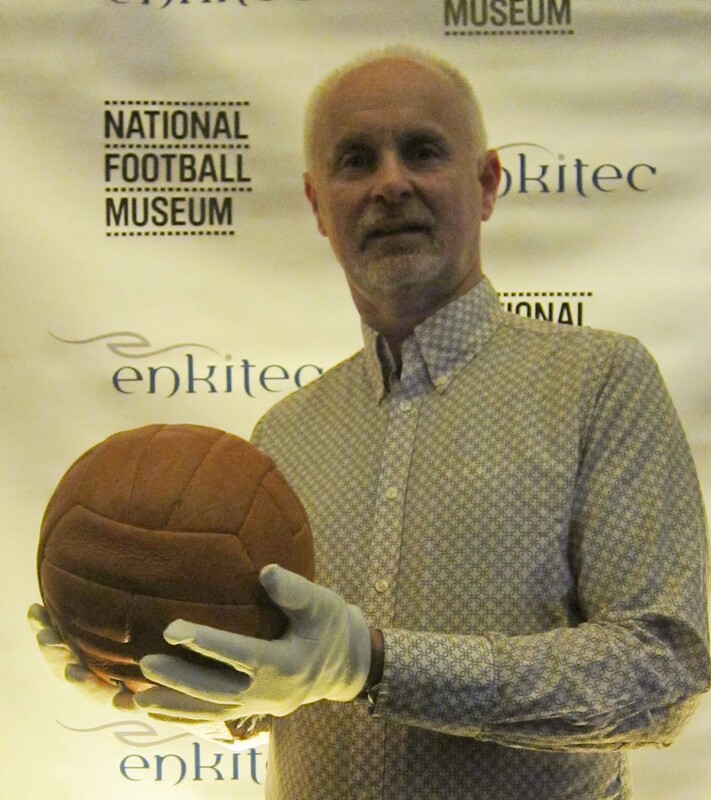 I was very pleased to get my photograph taken holding the actual ball used in the 1966 World Cup Final. I think everyone was asked to wear gloves but it might just have been me!! UKOUG conference day 2 opened up with Tom Kyte talking about 5 PL/SQL things you probably didn’t know. It did have 12c in the title but I think 4 out of the 5 were pre 12C. Implicit conversions are EVIL is my main take-away and he made me aware of the power of the PL/SQL warning framework to highlight any implicit conversions and other no-nos. Another important warning was when you code a WHEN OTHERS statement but do not follow it with a RAISE statement. Overall, an interesting discussion which I enjoyed despite only having ever written about 200 lines of code in my whole life. Larry Carpenter then talked about new Active Dataguard new features in 12C. To be honest I could not see a use for most of them at my current workplace but they were obviously delivered to meet a demand. One feature was DataGuard Fast Sync and that seemed to be available when using normal (inactive??) DG on 12c so it might be something to look at. Larry also mentioned that Oracle would be announcing g a database backup appliance in the near future. Two roundtables followed, both of which were a bit like the curate’s egg – good in parts. The first was around Oracle’s OEM offering. I was hoping it would be a meeting where the audience shared some good things they had discovered about OEM (around 60% of the 30 strong audience were on 12c OEM). My humble offerings might have documentation which provides as list of all the views on the sysman tables used to manage OEM. However it really turned out to be of benefit to the two Oracle product managers in attendance as they just soaked up a list of issues from the audience – licensing difficulties and poor documentation mostly. There was one good tip on the help capability. If you type in backup or whatever else you want help on in the field on the home page where you put the target name in that will take you to help functionality that quite often has a direct link to the right page to get started. One comment from the Oracle people was that they had an OEM channel on YouTube with 71 videos on it. All very good but anybody running a significant estate from OEM is probably a corporate and they are likely to have YouTube blocked at work. Nothing to stop you looking at home of course but it did seem a bit of a contradiction to me. Then a three way round table on virtualisation that involved Microsoft, VMware and Oracle. The surprising thing was that they seemed to agree that the real benefit, above cost was agility. In fact they all seemed to agree on everything, especially the fact that there was no reason why the whole enterprise could not be virtualised. I raised the point that why would I risk putting a Tier 1 Oracle RAC database on virtual when Oracle state that in the event of a problem they might insist on getting it on physical before they could help further. I think I was seen as a Luddite with my head buried in the sand. However, given that it could take days to provision a physical RAC environment and get a copy database deployed how could I justify that to management. Microsoft and VMware said they would have their own level 2 /3 support who would help out but that is hardly the same as working with the main supplier. Lunch was spent talking to a friend around disk latencies, , UKOUG and Apex. An enjoyable and productive 45 minutes. In the afternoon the best talk was by Pythian’s very enthusiastic Marc Fielding on Private cloud. A few thoughts struck me on the container database and pluggable databases. Firstly it seems to be where SQLServer has been for years. The idea that you get try one pluggable database without licensing is bizarre because most of the things you would wish to test require more than one PBD. My two overall questions would be around memory management and security. With a single SGA that is not resource managed how does one stop one PBD filling the buffer cache after running FTS or producing a fragmented library cache with multiple parsing of sql – if you flush the shared pool does it do it across all the databases in the container. My main concern would be around security, a user on one PBD would be able to see the sql-text and v$session views of another PBD and therefore see data. I have not investigated CPD or PDBs at all so I don’t have the answers but I will be looking at it shortly. I have downloaded the agenda app for UKOUG Tech 13 – Mon 2nd – Wed 4th December in Manchester and I have selected the talks I want to attend. Primarily they are from the database streams with a bit of Engineered systems (Exadata for me) thrown in. Undoubtedly the release of 12C has generated many of the talks and that is all very good – exactly what the conference is there for – to find out what is new and which new features work well or can be adopted easily with real benefit. I think my only surprise is Tom Kyte is giving a keynote speech late on the last day and I suspect that he will not be that well-attended as people start to drift off home. I hope I am proved wrong. 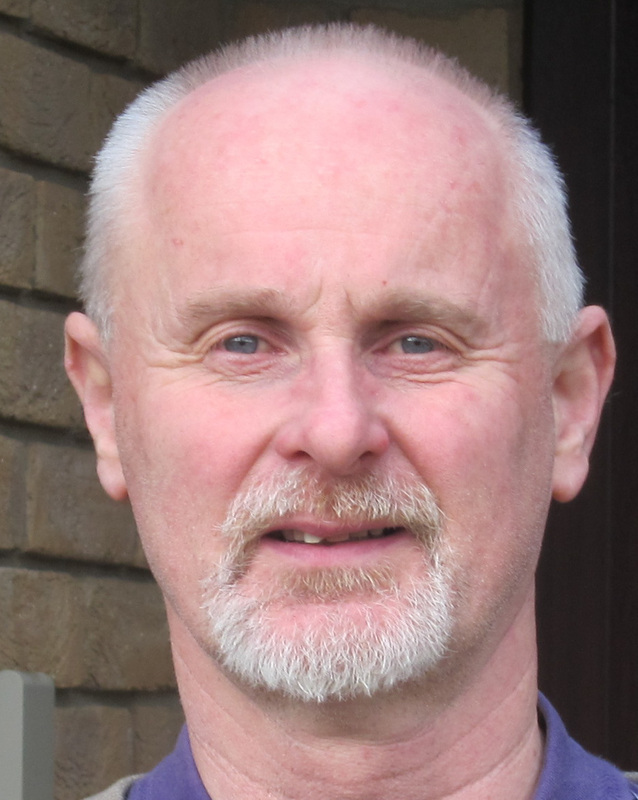 I have been doing a bit of a Movember so I am posting a current photo. Mind you the growth might be gone by Monday as we will be into December then. I am speaking at the UK Oracle User Group conference in Manchester on Weds 4th December on the subject of building and using an AWR repository but I also include the capture and long-term retention of OEM data as well.I have given this talk once already to a SIG and it got very good feedback and I have developed the ideas significantly since then. I am also pleased to say that I have been selected as featured speaker of the week at the UKOUG site. Caution – it does include my photograph. The conference is normally held in Birmingham but is moving to Manchester for the first time this year. Another change is that Wednesday has a full agenda now, normally it tails off after lunch. I think the UKOUG conference is a must go to anybody who is looking for new ideas and techniques or even just to remind themselves of best practise. The agenda is excellent and I can see many difficult decisions on which talks to attend. I do know that whatever I decide then I will come away with a bunch of notes and follow-up ideas which will keep me busy for the next few months. I am pleased to say that I have been offered at a slot at the UKOUG Tech conference to present my paper on “The design, creation and maintenance of an AWR repository”. I have presented this once already to a SIG meeting and I felt it went down well and the feedback and comments I received afterwards supported that and allowed me to develop the ideas further. The big day is Weds 4th December at the new venue in Manchester. For those of you who are used to the Birmingham event it should be pointed out that this year Wednesday will be a full day of presentations comparable with both Monday and Tuesday and not the half-day, wind-down that we have seen in recent years. UKOUG Technology Conference 2013 2nd – 4th December 2013 at the Manchester Central Convention Complex. I am pleased to be presenting at the UKOUG AIM and Database SIG in London on Thursday 18th July. I am talking about building and using an AWR repository. My precis reads This talk will cover the whole process of managing an AWR repository that will take feeds from many databases for long-term retention and analysis. It will cover the reasons to do this, how to size the repository and then how to move AWR snapshots into the repository. The management of the repository including partitioning advice, compression and gathering of statistics as well as how to housekeep the AWR repository will also be covered. This presentation will be of real value to anyone who is looking for reasons to set up a repository and practical experience and lessons learnt on how best to do it. I will also provide a few example scripts of how it can be used and real-world examples of when it has proved useful. Whilst I am not suggesting that my talk is a must see, I do think it offers good food for thought as to what might be achievable in mining AWR data. I am also hoping that audience feedback will generate other ideas. Last week we held the UKOUG Database SIG in Leeds as I described in a recent post. It was a well attended event in a central location with excellent refreshments available. – Thank you to UKOUG’s Anna Crellin for organising the day so well. I ran the ‘BitsandPieces’ session where audience participation was the key idea and this was achieved. The theme was small pieces of Oracle functionality that are not well known or used. The benefits of using restore points and flashback database were covered. Examples were given of flashing back through a 10g to 11g upgrade (if you might want to), using a restore point before making a major table or code change that might need to be rolled back (better than rolling forward from a previous backup) and using the same restore point repeatedly as part of performance testing. The point was made that anything that might include an OS command (such as dropping or resizing a datafile probably would not be recovered through so be careful with the command. My advice is that I consider it as the belt that goes with the braces of a full backup. Invisible indexes – how easy they were to use and how they allowed the data_dictionary to be aware of the index but the optimizer ignores it. There was also a initialization parameter OPTIMIZER_USE_INVISIBLE_INDEXES that allows the index to become visible at both a session and system level to allow full testing. Beware that if you rebuild an index it then becomes visible again. One tip that came out was that in pre-packaged environments such as EBS when an index is not wanted, rather than drop it, mark it as invisible. Then when any upgrades or patches are applied the index still exists in the dictionary and is not recreated as it might be if it had been dropped. Another idea was the use of the opatch auto command. This came out in 11GR2 but not until PSU2. It manages a full GI and RDBMS patchset application and can stop all dependant databases, stop crs resources, stop crs, patch and restart everything. It can save a serious amount of time and is well worth investigating. I did pick up another few interesting thoughts which I want to do a bit of research on and I will blog about those shortly. So overall it as a good day with a lot of community interaction, networking and a good laugh afterwards when about 15 of us went for a few beers. The location is the Met Hotel in Leeds, right by the station and the last meeting in Leeds several years ago, was well attended so I am sure this one will be as well.